What can be done when a parent kidnaps a child to a foreign country? For instance, when Rachel and Robert divorced, Rachel moved back to her hometown, New York, with their only child, Leora. Since she was short of money, Rachel never bothered to get a court order formalising her child custody of Leora. Robert returned to his hometown, Ottawa. Leora would visit him there during her school holidays. This arrangement worked well for a few years. However, at the end of one summer holiday, instead of sending Leora back to New York, Robert decided to enrol her in school in Ottawa. Despite repeated phone calls from Rachel, Robert refused to return Leora. The effects of a parental kidnapping can be devastating on the children involved. Yet, in our world of increasing mobility, increasing divorces, and increasing numbers of marriages between people of different nationalities, situations like that of Rachel and Robert are becoming increasingly common. That is why since 1980, when it was first adopted, many countries have signed a treaty known as The Hague Convention on the Civil Aspects of International Child Abduction, which deals with international parental kidnapping. The kidnapping may happen in two ways: a parent may simply take the child out of the country (known as "wrongful removal") or as in Leora’s case, a parent may refuse to return the child once the child is out of the country (known as "wrongful retention"). The Hague Convention helps people in Rachel’s situation. It allows Rachel to commence family law proceedings in Ontario to secure the prompt return of Leora to New York. It is important to note that under Article 16 of the Hague Convention, a court handling these proceedings is prohibited from making any decisions regarding Leora’s child custody. Thus, if Rachel starts family law proceedings under the Hague Convention, Robert cannot argue that he should have child custody of Leora. 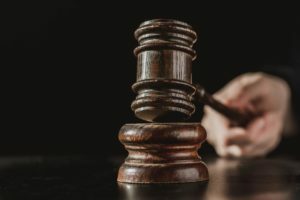 Similarly, even if Robert starts a separate proceeding for child custody of Leora, the court will not grant him this because of the proceedings under the Convention. The idea behind Article 16 of the Hague Convention is that it is in Leora’s best interests that child custody decisions be made by the court where she lived prior to being kidnapped. Once Leora is back in New York, the New York courts can deal with any concerns regarding child custody. If Rachel brings family law proceedings under the Hague Convention, the first issue is whether the Hague Convention applies to her case. According to Article 4 of the Hague Convention, the Hague Convention does not apply if Leora is 16 years or older or if she was not kidnapped from or to a country that has signed the Hague Convention. To date, more than 50 countries have signed the Hague Convention, including both Canada and the United States. As well, the Hague Convention is not retroactive: the countries must have signed the Hague Convention prior to the kidnapping. Thus, assuming that Leora is not yet 16, Rachel is fortunate as she can use the Hague Convention to help get Leora returned. Under Article 6 of the Hague Convention, each country designates a Central Authority that handles the international parental kidnapping cases for that country. In Canada, child custody is a provincial responsibility, so each province and territory has designated a Central Authority (normally the Ministry of Justice or Attorney General). Additionally, the Canadian government has designated the Department of Justice as a Central Authority to help the other Central Authorities. The federal Central Authority is particularly useful if a child is thought to have been abducted to Canada, but it is unknown to which province in Canada. The official role of the Central Authorities is to aid people in Rachel’s situation. In reality, the role of the Central Authorities is often limited, due to underfunding and understaffing; however, they can be helpful in locating a kidnapped child, locating a foreign family law lawyer and providing statements of what the law is in the country from which the child has been abducted. Rachel may choose to seek the assistance of either the American, Canadian or Ontario Central Authority if she needs it. Or, Article 29 of the Hague Convention allows her to bypass the Central Authorities and start proceedings on her own. The key section of the Hague Convention is Article 3, which defines when a parent has wrongfully taken or kept a child. Basically, this occurs when there has been a breach of the custodial parent’s rights under the law of the jurisdiction in which that person lived. Additionally, the custodial parent must actually have been exercising his or her custodial rights. In Leora’s case, the question is whether Rachel’s child custody rights have been breached under the law of New York. Although Rachel never obtained a formal child custody order, she still has child custody, as Article 3 of the Hague Convention makes clear that child custody can arise either by a legal decision, an agreement between the parties, or "by operation of law." Clearly then, Robert’s failure to allow Rachel to return is a breach of Rachel’s custody rights. Where the conditions of a wrongful taking or keeping of a child are satisfied, Article 12 of the Hague Convention mandates that the court order the child returned to the custodial parent. However, there are defences that Robert could raise. If a defence is successful, the Hague Convention leaves it to the court’s discretion whether to order Robert to return Leora. Article 13 of the Hague Convention provides three important defences. The first is that the custodial parent acquiesced in the removal or retention of the child. Thus, Robert could argue that Rachel had agreed to let Leora stay with him, not just for the summer, but permanently. In such a situation, the actual evidence presented to the court, such as return airline tickets and school registrations, will be important in determining the outcome. The second defence is that the child’s return would expose the child to a grave risk of harm or an intolerable situation. So, if Robert could, for instance, adduce evidence that if Leora were returned, she would be abused before he could take appropriate action in a New York court, then the Hague Convention would not require a court to order Robert to return Leora. The third such defence is if the child objects to being returned and has attained an age and degree of maturity at which it is appropriate to take account of its views. Thus, if Leora says that she would like to continue living with Robert, and she is old enough to make such a decision, then a court need not order Robert to return Leora. This defence is the subject of great controversy, as different countries have different standards about at what age a child is old enough to make such a decision. In Canada, a rough rule of thumb is that a court will take into account the views of teenagers. However, German courts have taken into account the views of six and seven year olds, which is an age when many Canadians would think a child is too vulnerable to manipulation by his or her parents. Another important section dealing with defences is Article 12 of the Hague Convention. Under this Article, if the custodial parent waits more than one year to start an action, and the other parent demonstrates that the child is settled in its new environment, then a court need not order the child’s return. In Rachel’s case, starting an action within a year is not much of a problem. However, had Rachel not known where Leora was, she could easily have spent a year trying to locate her. In that case, it would be much likely that Leora would be returned. Another defence is found in Article 20 of the Hague Convention, which provides that a court may refuse to order a child’s return if the child’s return would violate the fundamental freedoms or human rights of the country in which the court is located. Obviously, this would not apply in Rachel’s case, as the United States is a democratic country. However, it could be used be someone objecting to the return of a child to a country where, for instance, a military coup had occurred. Pursuant to Article 11, the Hague Convention sets a goal of completing Rachel’s legal case within six weeks. This is often more optimistic than realistic. However, the United Kingdom has set up a special court in which such cases are heard, and they successfully complete the cases within six weeks. One problem with the Hague Convention is the costs involved. Legal, travel, expert witnesses and other costs may run up to $100,000.00 or more, especially if translators are required. Article 26 of the Hague Convention allows countries to implement a "loser pays" rule. However, under Article 42 of the Hague Convention, countries are allowed to opt out of this and Canada has done so. Thus, Rachel may not recoup her legal costs even if she were successful in having Leora returned. However, Rachel would be eligible for legal aid in Ontario on the same basis as if she were a resident of Ontario. of good faith and respect for the law, it is rare that the process works smoothly. The kidnapping party can use the defences in the Hague Convention to thwart the return of the child, or at least dramatically increase the other party’s legal costs and the amount of time before the child is returned. Despite these difficulties, the Hague Convention has been a success. Statistics from the United States, the United Kingdom and Australia show that the rate of return for children kidnapped to Hague Convention countries is significantly higher than for non-Hague Convention Countries. Although it is not perfect, the Hague Convention provides a way to get a lot done. Certainly, in a situation like Rachel’s, it is her best chance for getting Leora returned quickly. You're Invited to Call or E-Mail! If you are considering divorce in Ottawa or the surrounding area -- or have already made your decision -- you're invited to email or call us. We'll explain how you can protect your legal rights, reduce the expense of divorce, and protect your children from undue emotional stress. Click here to contact us. At what age can a child choose custody? Subscribe to our divorce course for information on mistakes to avoid in your divorce and more. Find out more. Prenuptial Agreements – Marriage contract information. Common Law – Resource for common law couples. Divorce Lawyers – Here you can find the divorce lawyer you need in our directory, which is sorted by city.